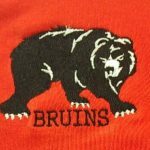 The Lady Bruin golfers went to Limberlost Golf Club to play along during a dual between South Adams and Winchester. Taylor Mink shot a 66. Coach Watt shared, “The girls continue improving as first year golfers!” The Lady Bruins return to action at home on Monday as they will play along with Delta and Wes-Del.